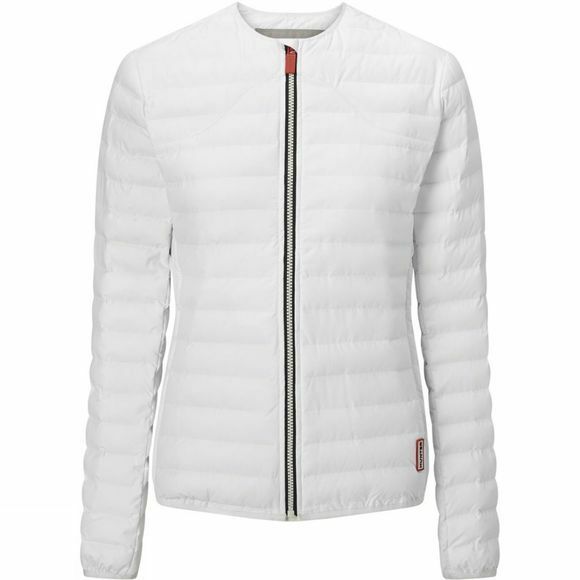 The Women's Original Midlayer Jacket from Hunter is a warm jacket that utilises Thermolite synthetic down to effectively insulate in cool conditions. It features a low profile to reduce any bulk while stretch binding at the hem and cuffs ensures maximum efficiency with no need for adjustments. Perfect for cold and crisp days outdoors and can be easily personalised by adding your favourite hat, scarf and gloves combo for extra insulation should the weather demand it.